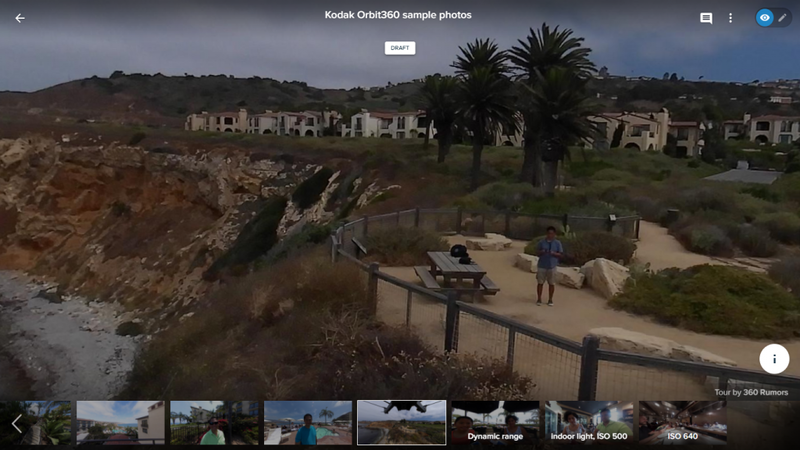 I just got the Kodak PIXPRO Orbit360 last Friday. Here are my first impressions and some sample photos. Updated: August 13 (with information about adjusting the stitch in the photos). 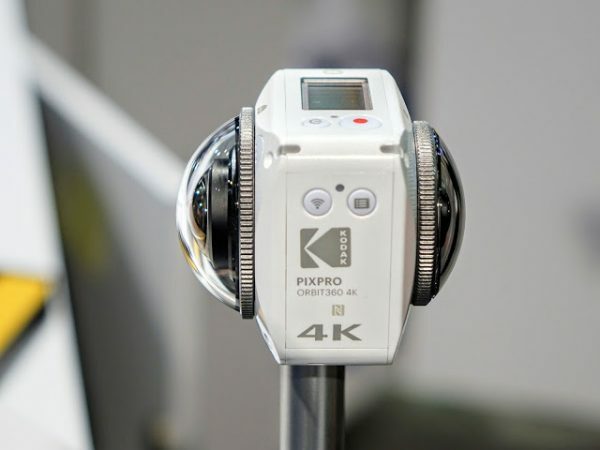 Last year, I found that the Kodak PIXPRO SP360 4K Dual Pro had the highest overall video quality among consumer 360 cameras. However, the Dual Pro is a rig, which makes its workflow much more complicated than the workflow for all-in-one 360 cameras. 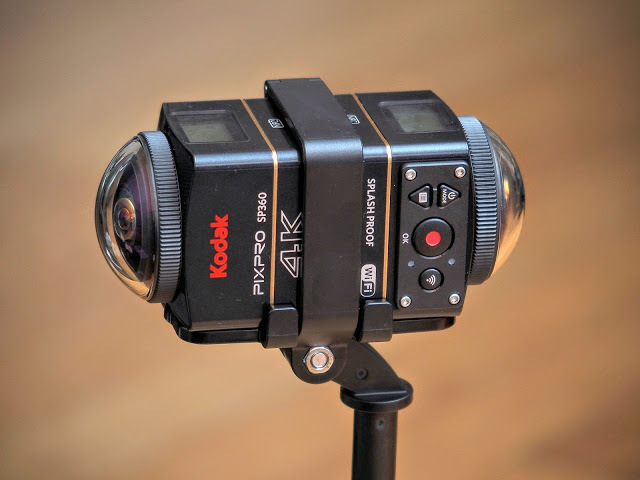 Last September, news surfaced about a new 360 camera from Kodak PIXPRO called the 4KVR360, which would be a fully spherical all-in-one 360 camera. It was unusual because it featured asymmetric lenses. One lens would be 235 degrees, the same as that of the SP360 4K. The other lens would be narower. 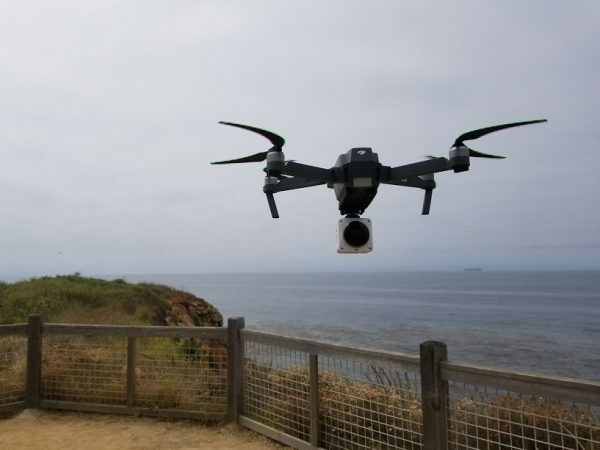 The idea is that it would enable the camera to use any of three modes: a fully spherical 360 view, a wide 235-degree view, and a 197-degree view. At CES, the 4KVR360 was renamed Orbit360 (though it’s still known as 4KVR360 in Europe and Japan) and they provided a little more information about it, including some demos (though no full resolution samples). The Orbit360 was originally to be released around March or April, but the release date kept getting pushed back. It was released in May in Japan and finally was released in the U.S. last week at $499 for the Adventure Pack and $549 for the Satellite Pack. I got mine last Friday. ISO: 100 to 800, 100 to 1600, 100 to 3200. The Orbit360 is smaller than you might expect. It is smaller than the Nikon Keymission 360 with which it’s usually compared because of their similar appearance. 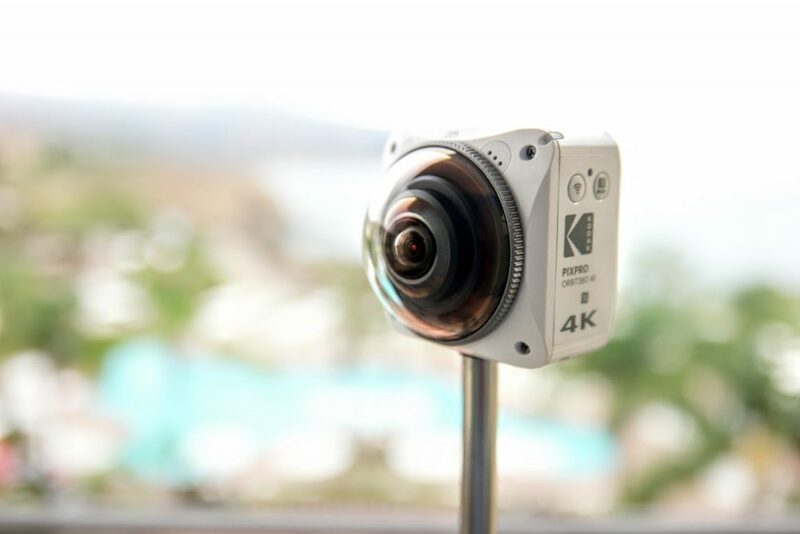 The size is more similar to that of a single SP360 4K camera, although of course thicker because of the second lens. One thing I noticed is that the wider lens of the Orbit360 looks different from the lens of the SP360 4K, so I don’t think the lens design is identical (I could be wrong). The camera is mostly plastic and feels very light, similar to the SP360 4K. However, there are a few differences. The LCD display is now backlit, making it much easier to read . Another important change is that the door covering the battery, Micro SD, HDMI and microphone jack has been moved to the side, where it can be accessed while the Orbit360 is mounted on a tripod. The on-camera controls are similar to those of the SP360 4K Dual Pro. There is a menu button, and the Wi-Fi and menu buttons serve as up or down buttons. The shutter button is used for selecting options. I didn’t find a button for quickly exiting the menu and getting back to shooting. There is an app for Android and iOS, similar to that of the SP360 4K, with intuitive controls. The Orbit360 can also be controlled by a PC or Mac using Wi-Fi. Connecting to the app was a painless process for me. 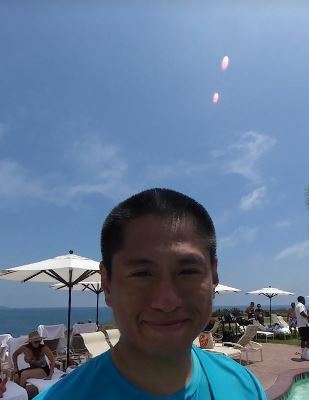 I simply pressed the Wi-fi button on the camera, connected to the Wi-Fi signal using my phone’s Wi-Fi settings and then launched the app. I also tried using NFC and it worked most of the time. By default, photos are stitched in full resolution in-camera. However, you can also switch to unstitched photos, which can then be stitched on the desktop app. The advantage of using unstitched photos is that you can adjust the stitching for best results. Over the weekend, I took some sample shots with the Orbit360, including a few shots with the Orbit360 mounted on a DJI Mavic quadcopter. 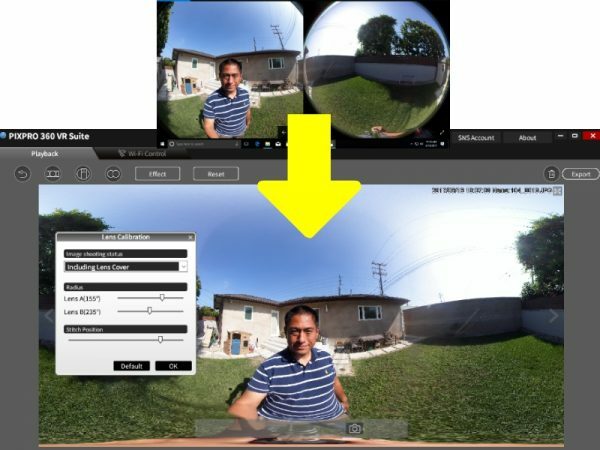 One useful feature of the Orbit360 is that it has a true intervalometer (called Time Lapse Photo mode). This allows the Orbit360 to take photos automatically every few seconds without having to be connected to the app. With this mode, you will get the individual fully stitched photos of the Time Lapse Photo. Based on these sample photos, I would say the Orbit360 has very good dynamic range for a consumer 360 camera. I also like the colors and contrast, although the shadows are a slightly darker than I would like. I like the fact that there is very little chromatic aberration, with only slight purple and green fringing. The lens has consistent sharpress throughout most of the frame except at the stitch line. White balance appears accurate in both outdoor lighting and artificial indoor lighting conditions that I’ve tested. In terms of resolution, photos seem to have plenty of detail – there’s sufficient detail that you can crop a photo closely and still have a decent image. However if the photos are viewed very closely (1:1 view), where you can see that the photos look too smooth, without sufficient texture or high frequency detail, making them look somewhat like watercolor paintings. I am supposing this is because the noise reduction is much too aggressive, or the smoothening might have been intentional in order to flatter subjects by removing wrinkles. I hope they can fix this via firmware update. 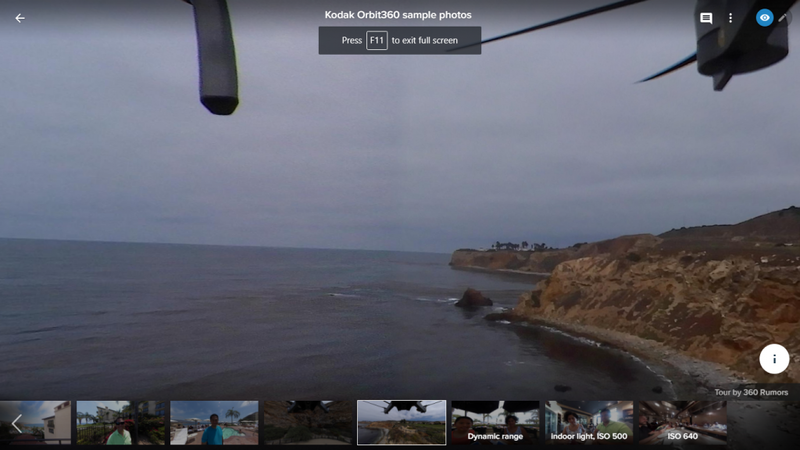 By default, the Orbit360 stitches photos in-camera. However, you can also switch to unstitched photos (the option can be changed in the resolution menu). With respect to in-camera stitching quality, I would say the stitching quality is acceptable. The geometry is generally correct. However, there is noticeable softening at the stitch line on the rear lens side, although the rest of the rear lens side is reasonably sharp. A related issue is that the rear lens side can sometimes appear noticeably noisier than the front lens, and sometimes also the front and rear lenses have a slightly different exposures, making the stitch line more obvious. Regarding vertical correction, the camera has a 3-axis gauge, but correction is limited to orthogonal positions (with the LCD facing directly up, down, forward, backward, left or right). If the camera is tilted, the tilt will not be corrected. You can specify whether you used the lens cover or not (if you don’t use the lens cover, the field of view will increase slightly). You can also specify the “radius” which used to be called “distance” in the SP360 software. You can do this independently for each lens. Finally, you can adjust the stitching position, which controls how much of the final image will be from the front lens or the rear lens. In addition to stitching unstitched photos. 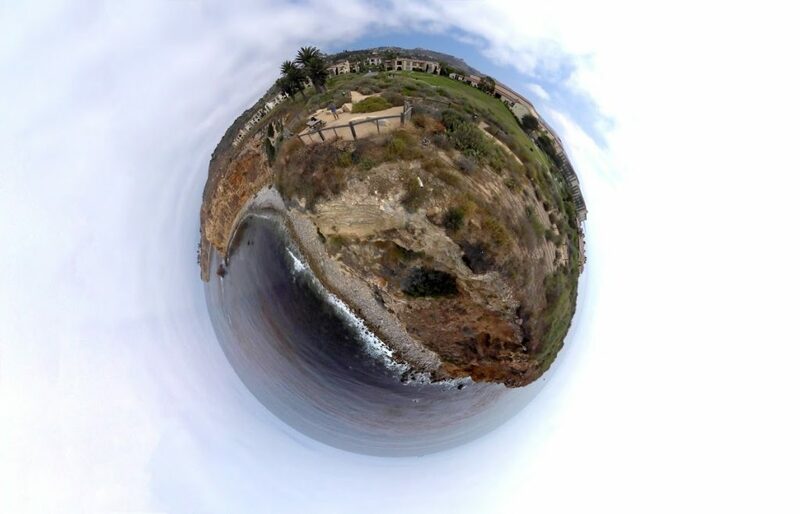 you can create new versions of the photo with different points of view such as little planet or fisheye or rectilinear. You can also adjust the sharpness, contrast, brightness, and saturation using sliders. Once you select the view that you want, you click on the camera icon which creates a copy of the photo is 3840 x 2160 resolution (in the same folder as the original photo). What do you think of the Orbit360’s photos? Let me know in the comments! In the next installment of this preliminary review, I will show sample videos from the Orbit360. I will also show a comparison between the Orbit360 and some popular 360 cameras. 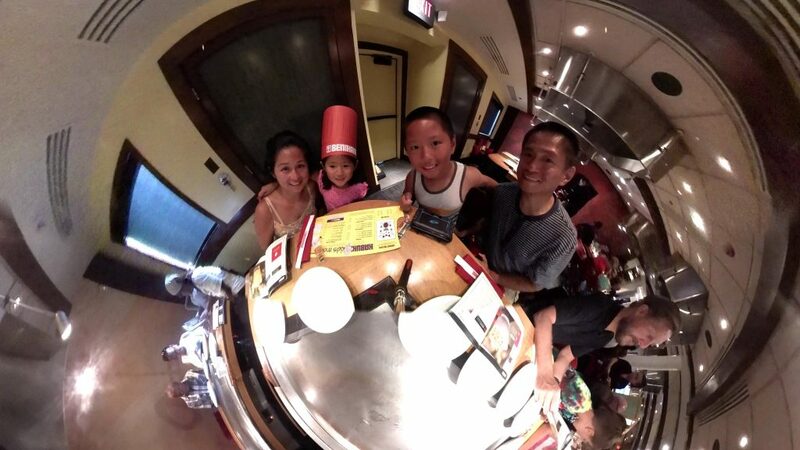 Photo quality and stitching certainly not as good as some recent consumer cams. “3840 x 1920 15fps (in-cam stitched)” video is the best it can do? Not good. Our honest take now that we have one in the field… if you are using this as anything other than a family pic gadget DON’T. Absolutely horrible auto stitch, horrible detail capture and the mixed exposure is just as bad. 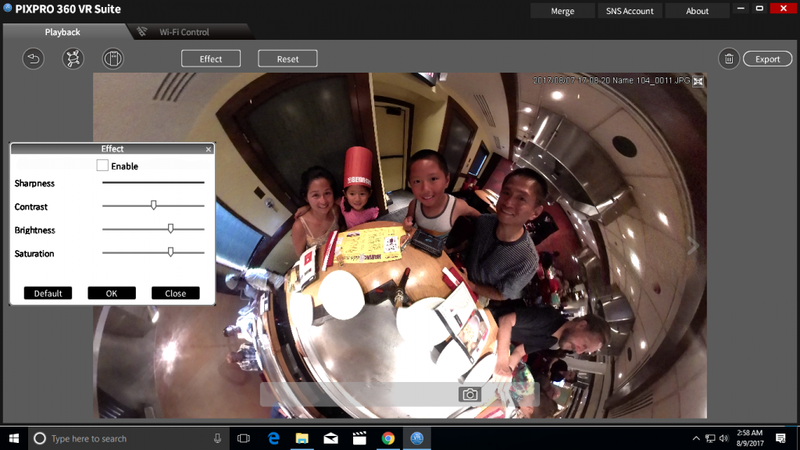 We have used the SP360 for moving 360 video captures and hoped this would be a step up in quality and usefulness (not to mention the workflow improvements). Unfortunately it is not. On our end we looked at the topline megapixel number as a sign of good things. Who does not want an 8m jump right? But when that bigger capture is stored on a wide and narrow rectangle at a lower frame rate you get the classic camera sales tactic back fire… kind of like a blown 454 in a Geo Tracker. As an added issue when you capture in 24fps unstitched the resulting file is a single MP4 with two spherical captures on it. 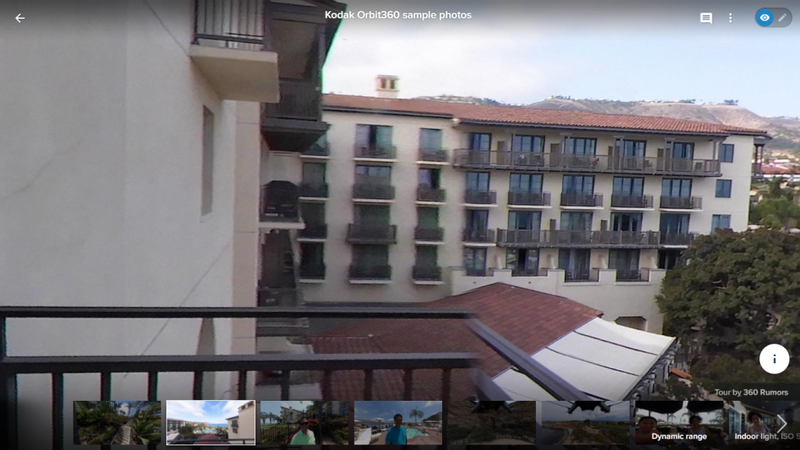 The Kodak software for dealing with this does not provide the level of stitch quality found in the SP360 software. As you noted the image quality of the smaller “front” lens is significantly, noticeably, and obviously better to the point that it is laughable. In viewing our test captures you could prominently see the stitch line and quality breakdown. 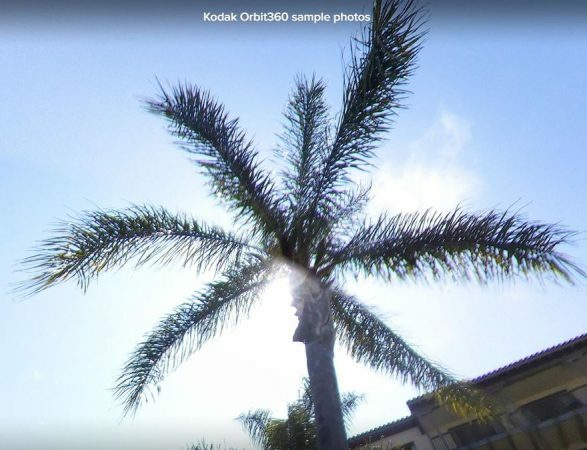 We compare it to the resulting images of shooting with an SP360 on a dark cloudy day under a heavy tree canopy. This thing is going back to Kodak and we are off to work with the SP360. Too bad. Thanks for your candid assessment Mark. There is one use case scenario that I think can make sense, which I will talk about in part 2 of my review. I would like to provide an update to my review above. I spoke with JK Imaging and some of the product people regarding the new orbit and according to them the unit is designed as a consumer-focused easy to use 360 camera. The breakdown in exposure is by Design the unit selects the exposure rate and applies the same to both lens captures. So in our case when we capture during a sunny day it will likely select the exposure of the darker lens. In their words the unit is not designed or intended to be used for professional captures. As their current marketing information suggests it is directed at users looking to live stream or share with family and friends. I will temper my above overly negative review and suggest that anyone considering this device as a personal non professional 360 camera that is easy to use and easy to share then it works perfect for this. If on the other hand you are a professional looking for a prosumer grade device this is not it. I’m also not seeing any live video support mentioned in the manual. correct. EIS is only for non-360 video. When you say live video you mean live stream? Or do you mean live preview? I meant livestream over wifi or phone capability but I may have forgot if this camera had it. The non VR use of the separate lenses looks interesting. It’s nice to here that wifi connection is easier to use than with the Nikon. It looks like the wait will continue for something with the ease of use possibilities with good high res stills and 4K+ video capabilities under the insta pro price tag. I hope someone gets it right soon for under 1K. Apple? Sony? Nikon keymission ver 2? Hi Svend! I didn’t know about that app! Looks good! I will check it out… Thank you my friend! Wow…total disappointment. Thanks again, for saving me money Mic. Looking forward to seeing how this compares to other 360 cameras in its range. Also, think about including some of the units that haven’t released yet (just as to specs on paper of course). I am very interested in how this stands up to the upcoming Yi and GoPro models. I looked at the photos again, and in fact, to me, this footage looks like a cheap LG360cam on stereoids (i.e. higher resolution) regarding the stitching and difference in exposure between the lenses…quite a big unsharp/blurry area where the two lenses are dissolved together. So far…not a camera in my taste. Waiting for the videotests. BTW, Mic, Thank a lot for doing all of this tests!! They are invaluable to all of us!! a home album or family presentation. I just like sharp photos and videos, but those are miles from that. Thanks Pete. I personally thought it looked ok. Anyway, I will be comparing the Orbit360 with other cameras so you can hopefully find one that you like! Hi. I m between garmin virb 360 and kodak 360 orbit. I checked the specs for sure but still no sure about quality differences and chromatic aberration degrees. I need an author to give me advice. I m digging in this for months long! Hi Mic thx for your interest. Video is not realy at top of my list. My main purpose is 360 still images with a lot pixels and less chromatic aberration. So what wld you say about my situation.